The 2nd Story Gift Shop and Bookstore offers a great variety of gift items for adults and children. It also contains a used bookstore with a selection for children, young adults, and adults in all genres. Book donations from the public are always accepted for our bookstore! The 2nd Story Gift Shop and Bookstore is an enterprise of 4RKids. 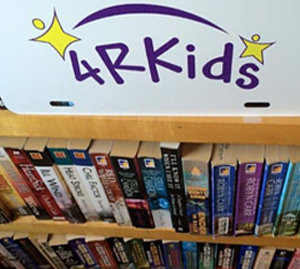 Employees at 4RKids help to run the cash register, clean and stock the shop, and greet customers. The shop also contains handmade items created by 4RKids employees including greeting cards, 4RPups Treats, and bath supplies. ​We hope you can come by and see us soon!